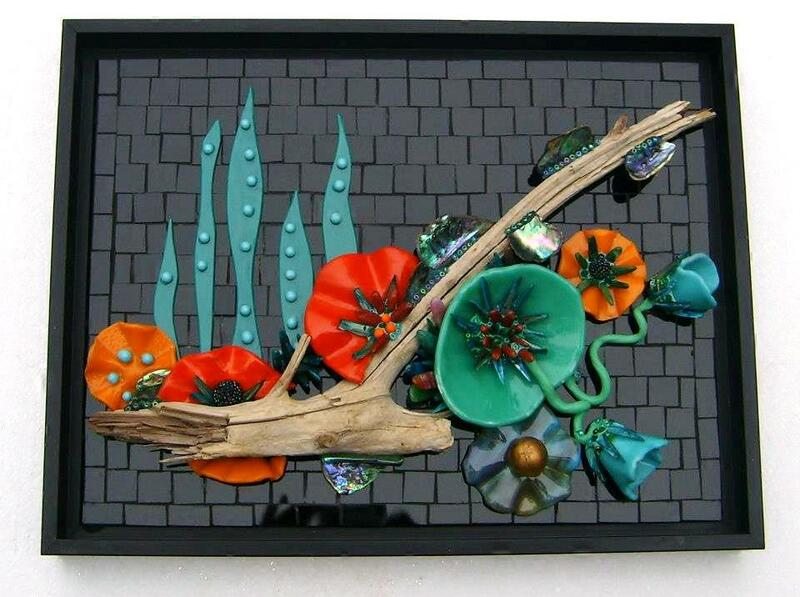 Susan won our recent "Fantasy Garden" Challenge with this beautiful piece. Inspired by Chihuly, it's called "Fantasy Garden". It is on a 16" x 12" base with a mosaic of stained glass, glass beads, shells, drift wood, jade and fused glass. Beautiful! If you are a mosaic artist or a fan of mosaic work, you are welcome to join our closed group on Facebook. Find it here. The Mosaic Challenge Group Lives!